Manage saved daily fantasy lineups for FantasyDraft MLB contests. 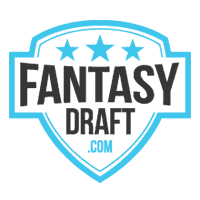 Position: The position the player fills in FantasyDraft contests. Salary: The cost, against the salary cap, for including a player in a lineup on FantasyDraft. Fantasy Points: A prediction of how many fantasy points a player will score in the upcoming game or tournament, using scoring specific to FantasyDraft. Projected Value: Predicted fantasy points scored for every $1,000 in salary cap used when including a player in a lineup on FantasyDraft. Actual Fantasy Points: The actual FantasyDraft fantasy points a player scored.